Size of this preview: 413 × 600 pixels. Other resolutions: 165 × 240 pixels | 330 × 480 pixels | 643 × 934 pixels. 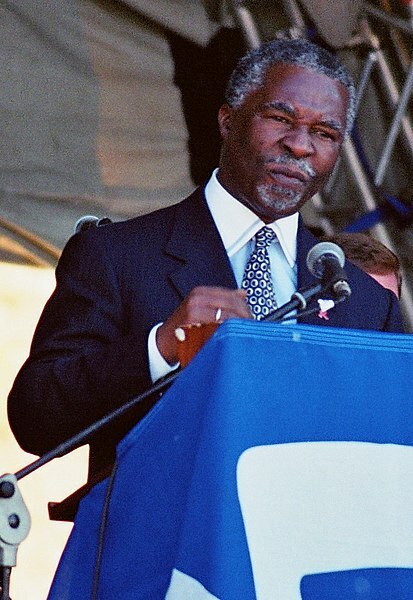 Picture taken of Thabo Mbeki in 2001 in District Six, Cape Town, on the occasion of one of a number of "handing back District Six" ceremonies. Picture by Henry Trotter. The author releases it to the public domain.